HOSPITAL CONSULTANTS HAVE threatened a move towards taking industrial action in the new year if an equal rate of pay is not restored for doctors hired before and after 2012. In 2012, the then-government introduced a two tier pay system for hospital consultants hired before and after 1 October of that year. As things stand, hospital consultants hired after this date are paid up to 30% less than their colleagues who were hired before then. This results in some consultants earning up to €55,000 a year less than some of their colleagues. 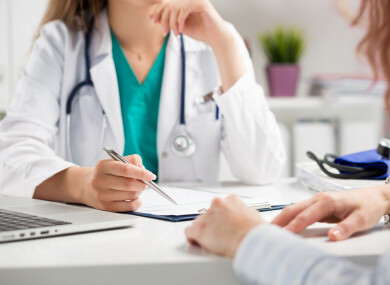 The Irish Medical Organisation (IMO) – the representative body for doctors in Ireland – has said that the two-tier payment system is undermining morale among medical professionals and preventing consultant posts being filled in hospitals. As things stand, the IMO said that 500 vacant consultant posts are unfilled in hospitals across the country. “We are in the midst of a recruitment and retention crisis amongst consultants with almost 500 unfilled consultant positions across the country and this is directly impacting on patient care,” said IMO president Dr Peadar Gilligan. It is impossible to justify a two-tier pay system for people doing the same job with the same qualifications and it is impossible to hire the consultants we need as long as we persist in paying them 30% less than their colleagues. The results of a recent survey by the IMO found that 63% of respondents said they would engage in industrial action in order to force the government to address issues around pay. Gilligan said industrial action was the “last step” that members would choose to take, but that doctors were at the “end of their tether”. “The Minister for Health has recently confirmed his view that we need a process to resolve this issue and we are now calling on him to move to set up this process immediately,” he said. Speaking to reporters today, Health Minister Simon Harris said that the concerns over pay was a “whole of government issue” and that it needed to be considered. “This is an area that does need to be considered by government. The Public Service Pay Commission is quite clear that there needs to be a process that’s put in place to examine these issues,” he said. The statement this morning from the IMO is the latest in a line of industrial issues in the health service. Earlier this month, the Irish Nurses and Midwives Organisation began to ballot its members for industrial action in relation to issues over understaffing in the health service. Nurses have also said that low wages have made it “impossible for the HSE to recruit and retain nurses and midwives to provide safe care”. A recent government proposal on pay, which the union said would not have affected most nurses and midwives, was rejected by 94% of its members just last month. If the vote passes, nurses and midwives will stop work for 24 hours, providing only essential, life-preserving care and emergency response teams for theatres and emergency departments. The INMO said last week that the action can still be avoided if the government engages with nurses under the terms of the Section 3 of the Public Service Stability Agreement. The Psychiatric Nurses Association also announced this month that it was to ballot its members for industrial action over a rejection by the health service of its pay demands. TheJournal.ie has contact The Department of Health and the HSE for comment. Email “Hospital consultants threaten industrial action next year over unequal pay”. Feedback on “Hospital consultants threaten industrial action next year over unequal pay”.